Get set for the most beautiful road race, the annual SPAR Women’s 10/5km, coming to Pietermaritzburg on Sunday 8 September. 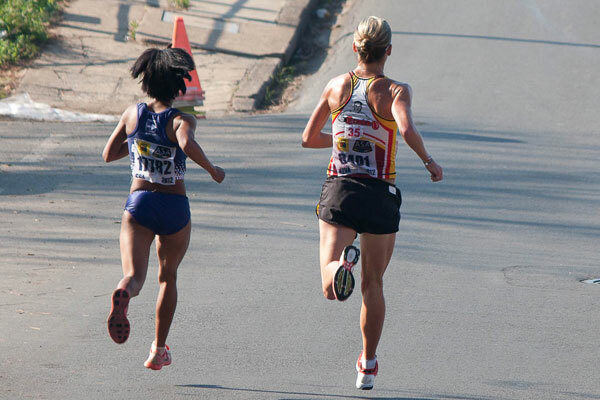 The running of the original SPAR women’s race in the country takes to the streets around Alexandra Park starting in Princess Margaret Drive outside Maritzburg College and the finish at The Oval cricket stadium. With the increase of interest, the race route has been tweaked a bit to accommodate the anticipated extra numbers. 2012 champion, Poppy Mlambo will be back to defend her title. 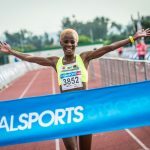 She will be lining up with Tanith Maxwell, South African Olympic marathon runner who has just returned from Moscow having competed in the 2013 IAAF World Championships marathon where she ran a season’s best coming 42nd in gruelling conditions. As the clock strikes 08:00am, a limited field of 4,000 women – and confused blokes – will take to the roads to compete in the two distances. With only one start for both, runners are urged not to miss the gun. SPAR has joined forces again with CHOC as the official race charity. The month of September is dedicated to creating awareness for childhood cancer and R2 from each entry is being donated to CHOC. There are two ways to enter, you can enter are online at www.sparwomensrace.co.za or manual registration at the Oval on Friday 6 September from 10:00am to 05:00pm and Saturday 7 September from 10:00am to 03:00pm. No entries will be taken on race day. All online entries received stand a chance to win a weekend away at The Springbok Lodge in Nambiti Big 5 Private Game Reserve valued at R15,000. Entry fees are R70 for the 10km licensed athletes and for the 5km runners. R80 is the entry fee for the non-licensed athletes; the extra R10 includes a temporary licence for the day. All female finishers stand in line to win over R30,000 in lucky draw prizes including 3 flat screen LED TV’s. 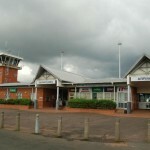 The event is limited to a field of 4,000. Should this number be reached prior to the cut-off date or registration, no manual/extra entries will be accepted. All roads will be open by 11am.